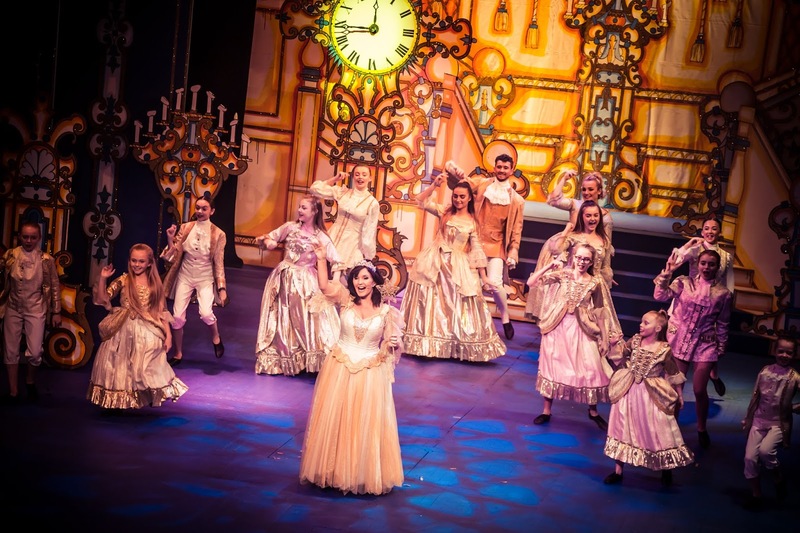 The Tyne Theatre is having a ball! 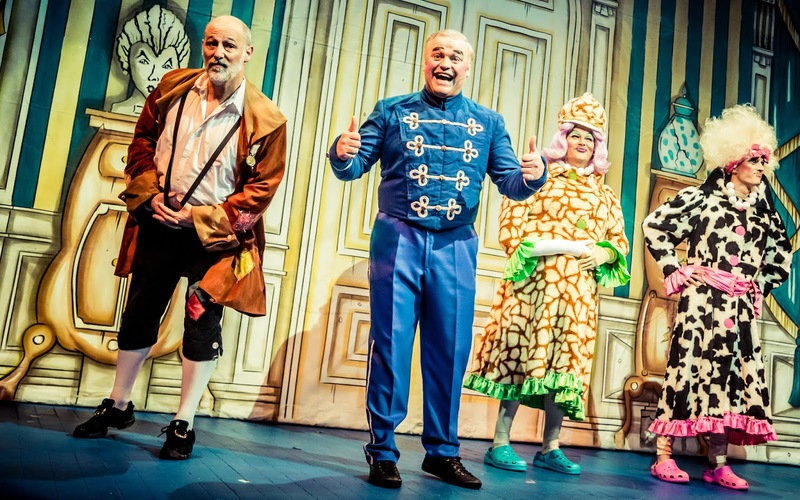 A good pantomime should be funny and magical. 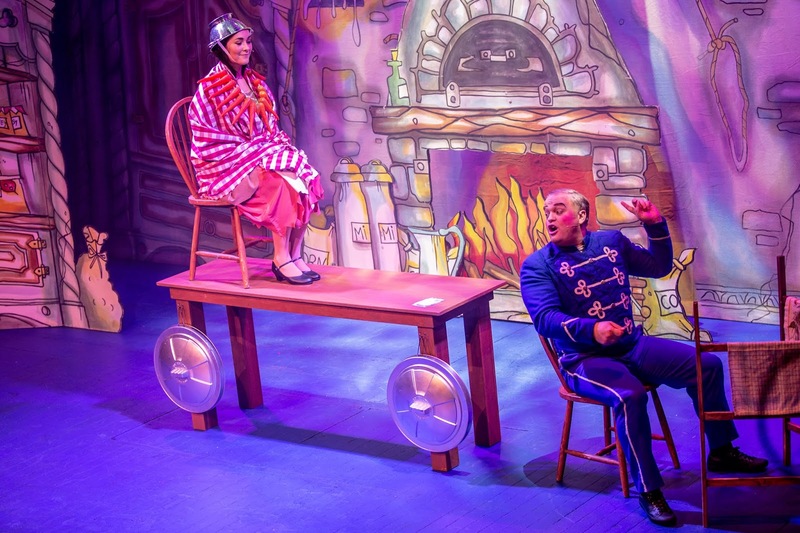 The Tyne Theatre production has that and some great singing performances to boot. Time flew by in the hands of an enthusiastic cast. 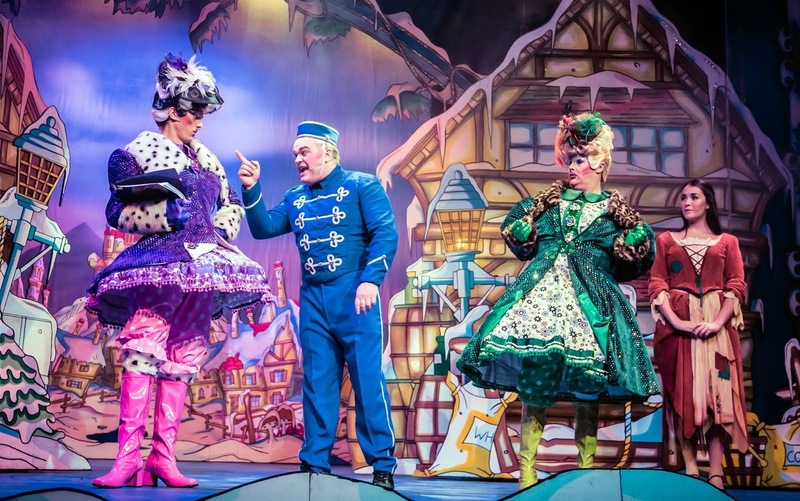 The Westgate Road theatre has got a cracker on its hands this year. 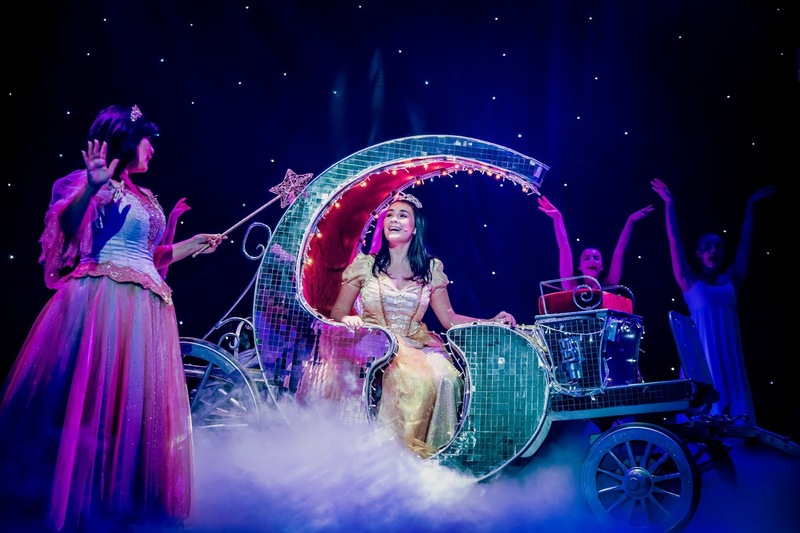 Cinderella has been a perennial favourite of panto producers as it is a classic feelgood story with plenty of chances for jokes and customisation. 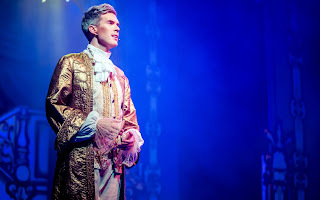 The Tyne show is set in Newcastle/The Toon and Prince Charming is the Prince of Northumberland. There has been a real effort to wrap plenty of local references around the action as each character mentions it – not just the locally based cast. 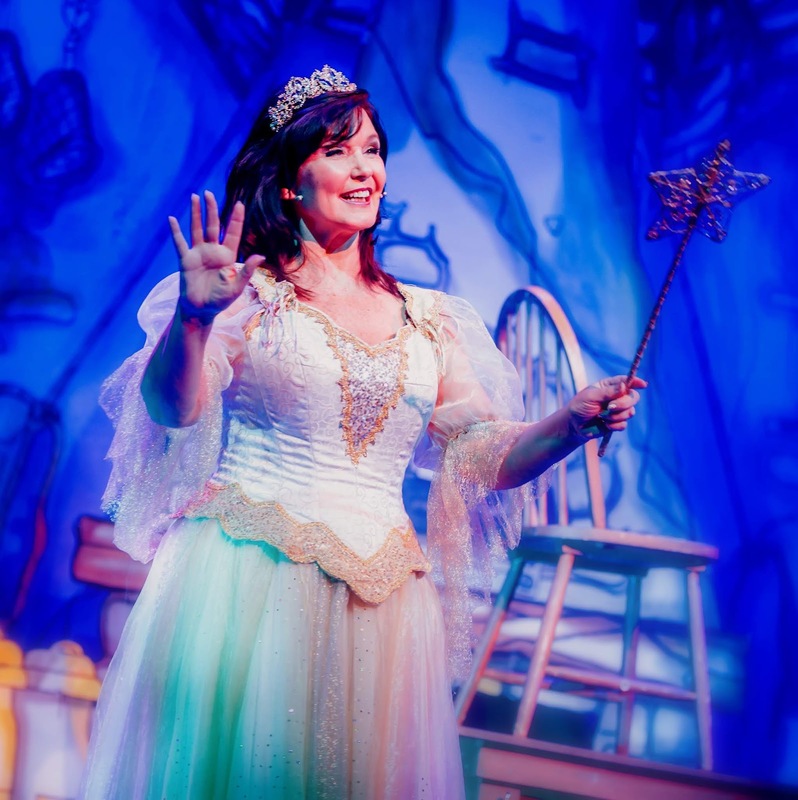 With a bright flash, Maureen Nolan is first on stage to set the scene and provide guidance as the Fairy Godmother. Both charming and possessing natural stage presence the show is off to a good start as Cinderella (South Shields own X-Factor finalist Lola Saunders) and Baron Hardup (The Dumping Ground’s Connor Byrne) launch into the first big dance number You Can’t Stop The Beat. We have a natural comic with the congenial Charlie Richmond as the Hardup’s servant and Cinderella’s best friend Buttons. He gets the audience on side nicely and helps hold the show together. 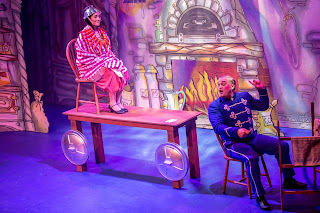 But Cinders has 2 ugly step-sisters too and Ivana (Jay Worthy) and Ivanka (Gavin Ashbarry) work well, as a comedy duo, to wind the audience up. They are suitably grotesque TOWIE types and illicit plenty of booing from the Tyne audience. In the same way that the audience interaction and comedy is spread around the ensemble, the singing duties are likewise shared out amongst some of the best vocalists in North East panto this year. 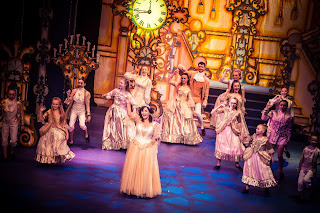 Indeed Cinderella is blessed with talented dancers in fabulous costumes and a crop of great singers. 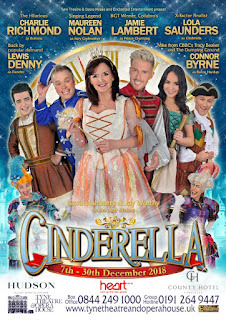 We remembered, from her appearance at the Tyne Theatre in Footloose back in 2016, that Maureen Nolan is a great vocal talent and likewise Lola Saunders stood out in Save The Last Dance For Me in 2016, so it was no surprise to them duet fabulously at the end of Act One with When You Believe. 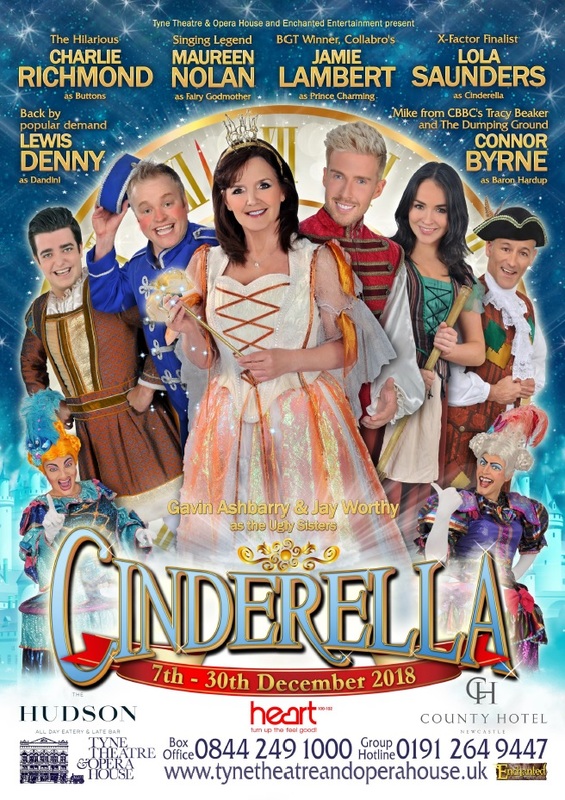 Enchanted Entertainment have brought another member of Collabro along this year, and Jamie Lambert has plenty of opportunities to show off his range. 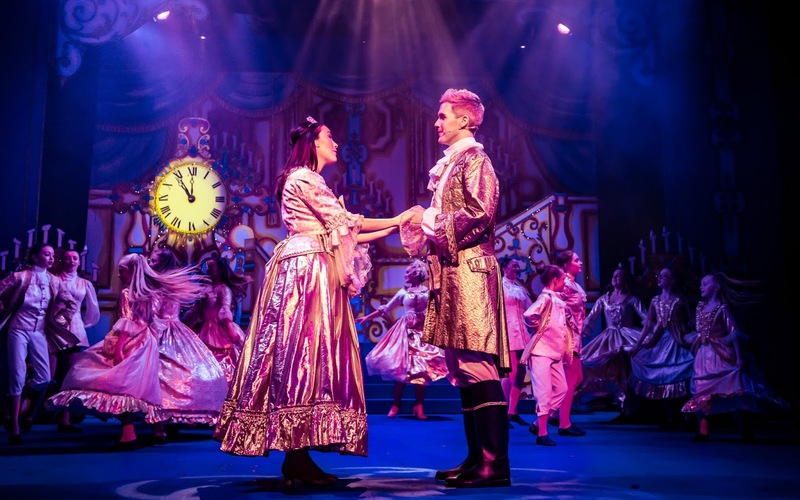 This includes duet with Lewis Denny (as Dandini) with Queens’s Don’t Stop Me Now and with Lola Saunders with A Million Dreams. Jamie’s big moment comes with his solo One Moment In Time. 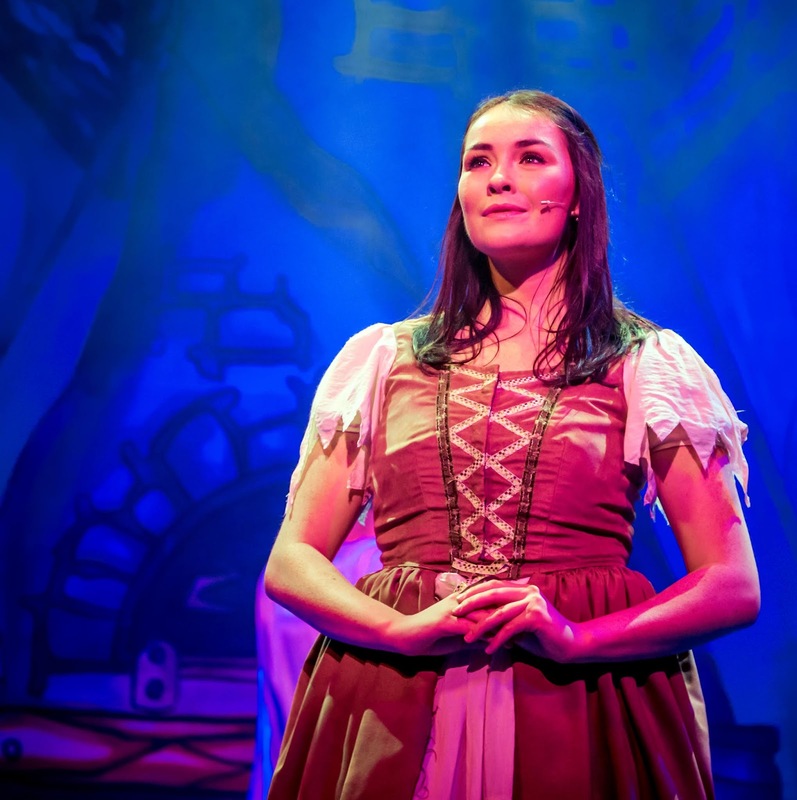 Of course the show gives Maureen a big number also with one of her big hits I’m In The Mood For Dancing. Backing the singing is a live band – which is always preferable to a pre-recording. The fact that Charlie involves the band in the action helps give a spontaneous feel to some of the funnier moments. 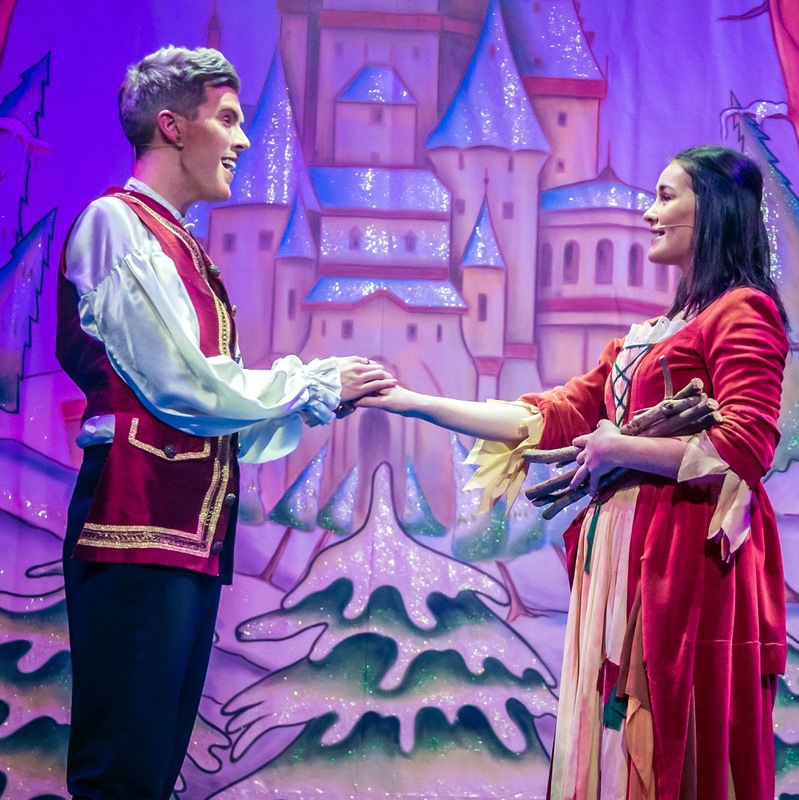 There are the classic panto elements in there: we have the take-off scene “it’s behind you!” and the 12 Days of Christmas gets an interesting localised makeover. 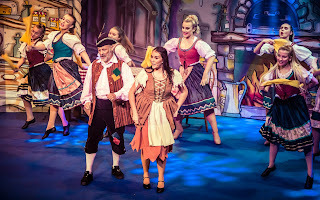 I don’t normally rave about costumes but it was noticeable how the ‘babes’ had much more detail in their individual outfits then is usually the case in panto. During the ball and wedding scenes, rather than identical outfits that can work around the different groups of young dancers, we actually had different stunning dresses in a similar theme. This attention to detail helped raise the bar on the magical feel of the show. 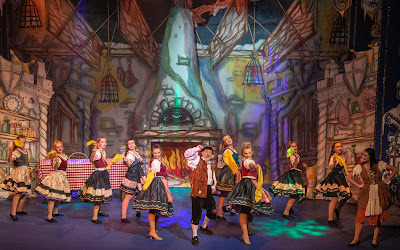 Indeed the choreography of the dance routines added to the overall feel of the show. 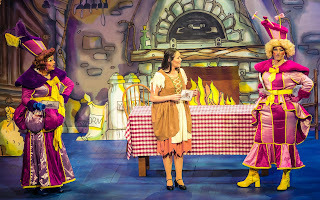 There were no weak links in this show – everyone gave the impression that they were happy to be there and to entertain the audience – and that is not always guaranteed in panto. 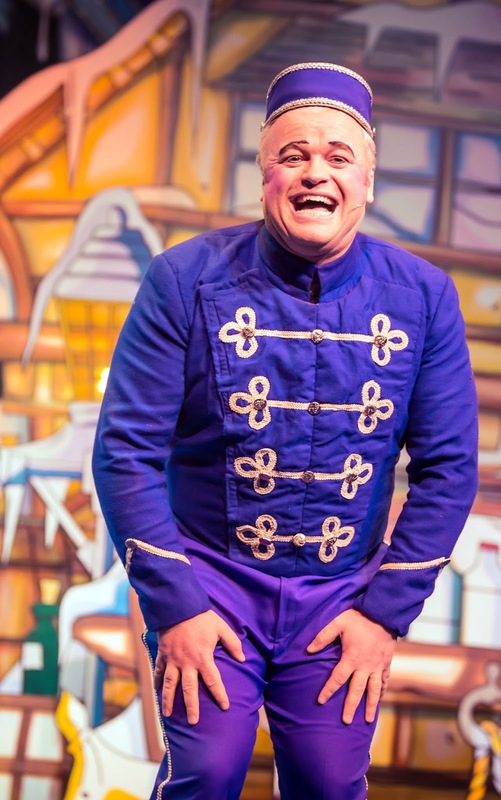 Central to the show is comic Charlie Richmond, who continues to be a great professional and is loved by the audience. 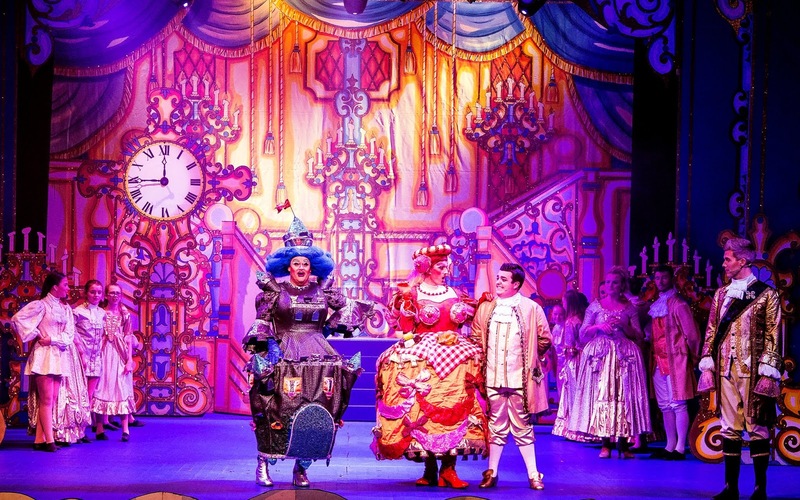 This year, however, the workload felt more spread out as funny ugly sisters, comical Baron’s and Dandini give the panto more balance. 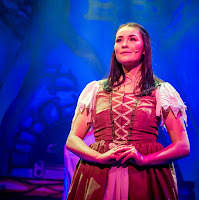 The script remembers to keep the younger members of the audience involved with references that they will get too. 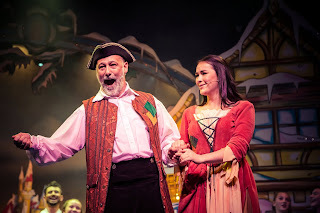 …and, of course we have Baby Shark but at least it is not over milked (Is there a panto not performing that song this year??). Yes, I laughed. We all laughed. 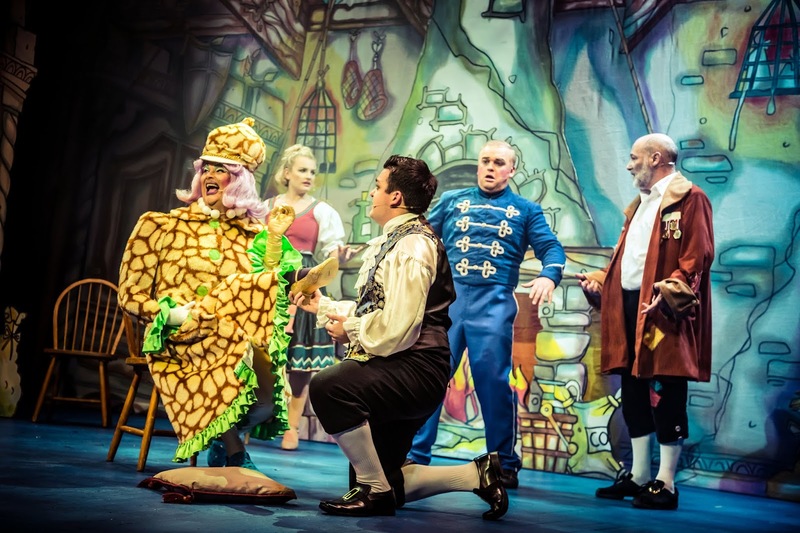 Cinderella is a canny panto with a big heart. Tickets are now on sale for next year’s pantomime at Newcastle’s Tyne Theatre and Opera House. Charlie Richmond will be returning in Aladdin. Tickets, from £18.70, are already on sale from the theatre and online from our affiliate Eventim UK: http://bit.ly/AladdinTyne2019. 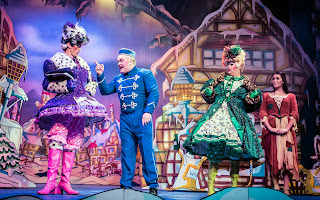 This was a truly amazing pantomime. My friend and I are avid fans of Jamie Lambert and wanted to support him this year. We traveled from North Devon to see the show...5 times in fact. Never once were we disappointed. Laughed until we cried and were truly mesmerised by the singing...especially Jamie's solo. The whole cast were brilliant and on our last day we had the pleasure of meeting them at stage door to say thank you and bid a fond farewell. I can honestly say this was a panto worth coming to see.